Because my mom is full Irish (her maiden name is Lonergan), and my dad is half, St. Patrick's Day was always a huge deal growing up. I feel like a lot of non-Irish people don't really know where St. Patrick's Day derived from. Basically St. Patrick brought Christianity to the country of Ireland, whose people had polytheistic beliefs. 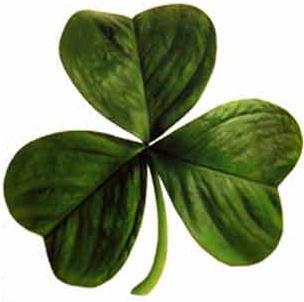 He used the shamrock to explain the Holy Trinity, the Father, Son and Holy Spirit.